National Forest, State Park, and National Park campgrounds in the Black Hills offer great amenities, wonderful views, and easy access to all the sights and attractions of this notable area, including Mount Rushmore and the Badlands. RV and Tent Camping with a shuttle to Deadwood attractions. Outdoor pool, free wifi, playground, pet friendly. Campers and cabins for rent as well as plenty of campsites with lots of shade! Chris' Campground offers a full service campground, with complete hook-ups, basic tent sites and camping cabins. Walk to dining, shopping and gaming from this lovely creekside RV Park. Full hookups, showers, fishing right outside your door. Downtown Deadwood welcomes you! Custer South Dakota's newest RV park situated in the center of all the Black Hills attractions. Full service 50/30 Amp RV sites, and cabins, with Cable TV and WiFi . 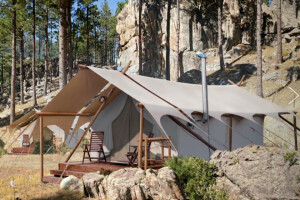 Tent camping, RV sites with hook-ups, and rustic camps for rent ... all near Sturgis, South Dakota. There are 30 campgrounds to choose from within the Black Hills National Forest. The sites don’t have hookups, but most campgrounds have water and flush or vault toilets. You can make reservations at some of these by calling 877-444-6777. 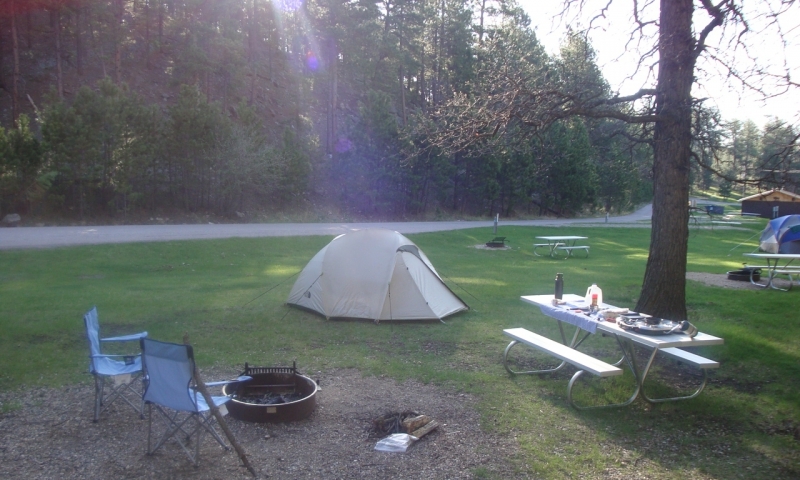 Campground Locations: Find camping areas in the Black Hills National Forest. Season: Black Hills campgrounds are typically open from May to September, but there are a few that are open all year. Fees: Fees for camping range from $6 to $21 a night, depending on which campground you choose and on the season you arrive. With 9 campgrounds to choose from, you can sleep under the stars all over this fantastic state park. All campgrounds have drinking water and toilets and some have showers and electrical plug-ins. Campground Locations: Find a list of all Custer State Park campgrounds. Season: Most are only open for the extended summer months. Game Lodge Campground is open year-round. Badlands National Park operates two campgrounds that are open year-round. Both campgrounds are first come, first served. Call the park at (605) 433-5361 with any questions. The park offers one campground that is open year-round and is first come, first served. Call the park at (605) 745-4600 with any questions.